Outside of a trumpet and a cello, every sound on this short release is made from a two-second recording of a seagull scream. 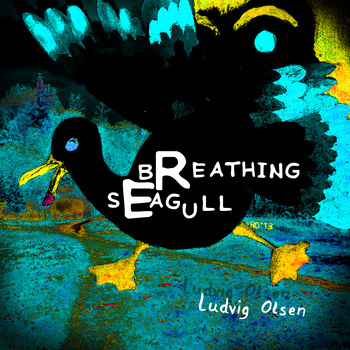 Kudos to Ludvig Olsen for managing to wrench a fairly deep sound-set out of such a small sample, but Breathing Seagull falls a little flat for me. It’s minimalist drone/noise, heavy on hisses but, other than “Dramatic Retreat to Save Seagull Life,” lacks much of the shifting sensations of good drone. Too experimental for this listener, with not enough going on to convince me otherwise. Have a listen and see if this seagull catches your ear.